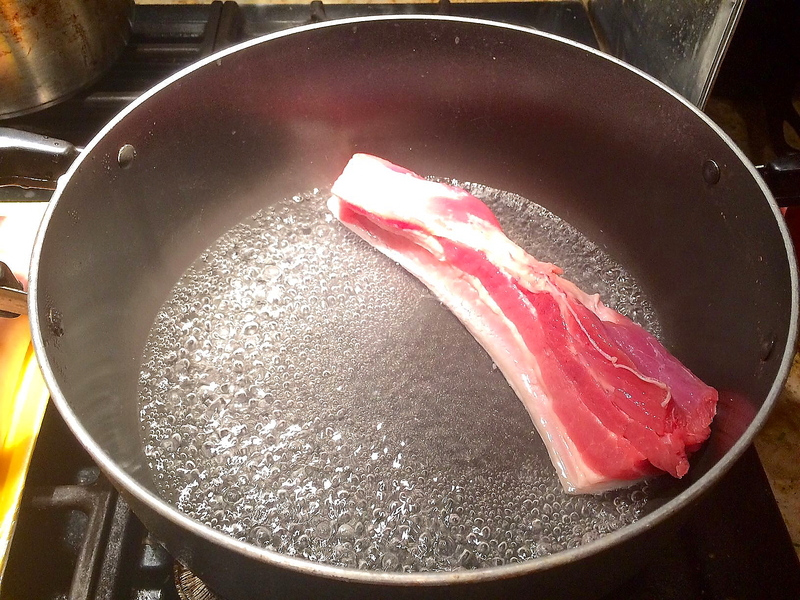 In a pot of boiling water, blanch the pork skin for 30 seconds. Pat dry with a paper towel. Using a small fork, pierce little holes all over the skin. 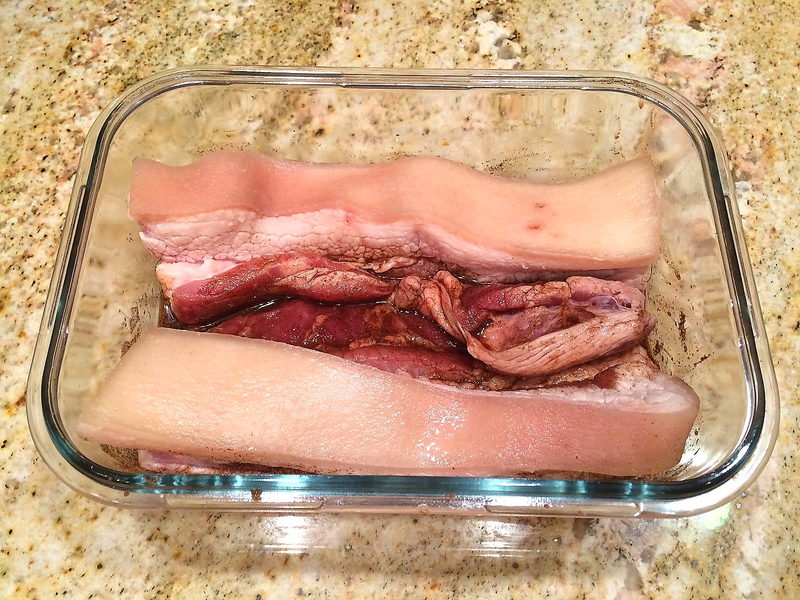 This will let the water out so the pork skin will be crispy. Make sure that the entire area of the skin is covered with holes and that the holes are very densely located to each other. Brush on a thin layer of vinegar on the skin. 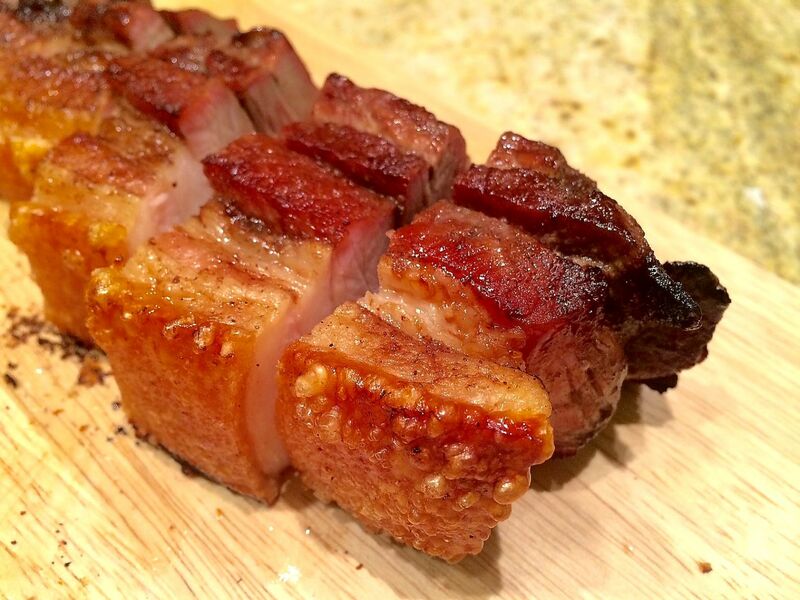 Combine the wine, sugar, salt, soy sauce and five spice powder in a shallow dish. 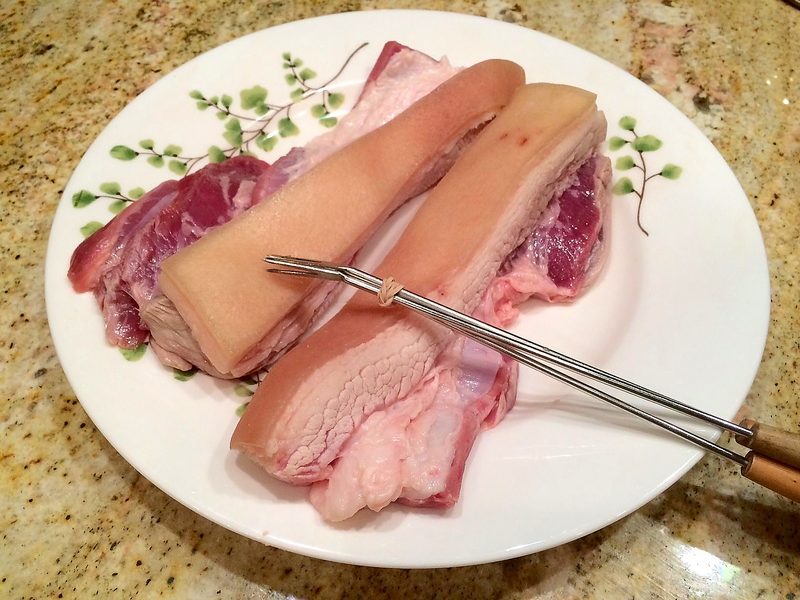 Carefully combine the marinade with the pork on the meat side but do not let the skin touch any of the marinade. 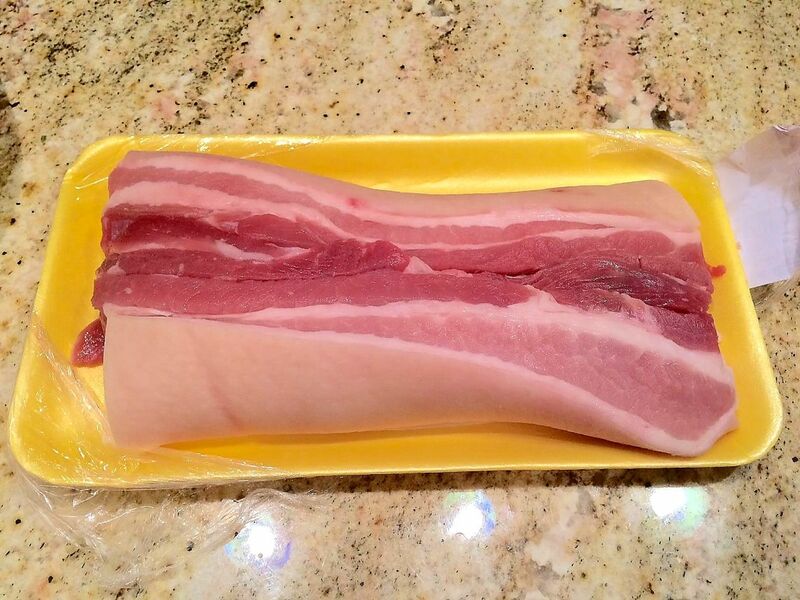 Refrigerate without lid for at least 4 hours, preferably overnight for the best flavor. 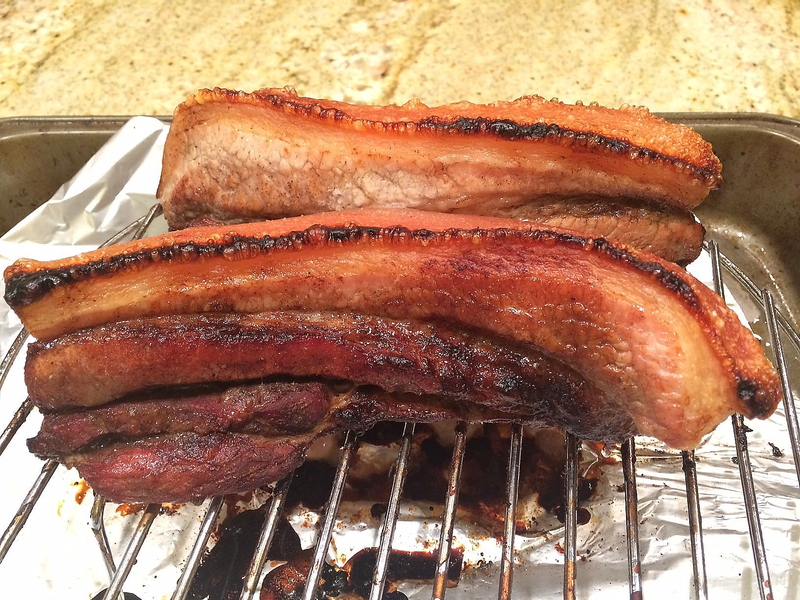 Place the pork on a roasting grill rack/pan. Roast for 30 minutes at 400 degrees. 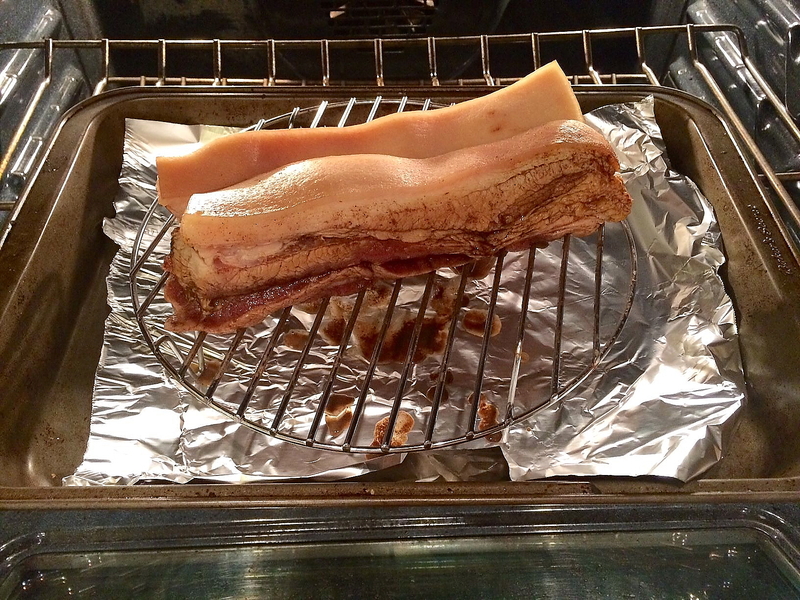 Then broil for 5 minutes until the skin cracks up and becomes crispy.